Djamel was still in high school when he was radicalized. It was 1991. Algeria’s military had just annulled the country’s general election fearing the establishment of a theocratic state after the Islamic Salvation Front won the first round of voting. As violent protests erupted on the streets, the country steadily descended into civil conflict and slipped into insurgency. Twenty-five thousand rebels climbed into the mountains of Algeria’s north where they began a guerilla campaign against the new government; terror attacks struck down civilians all over the country. According to terrorism experts, the majority of the young Algerians who chose the path of terrorism were no older than 25 years of age. 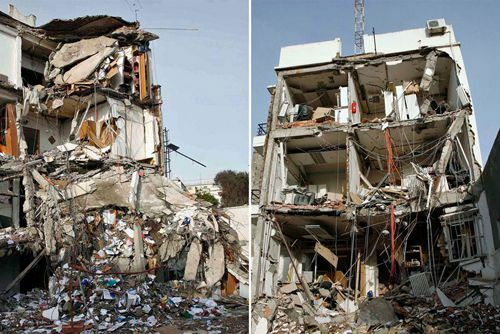 A view of the UN Headquarters complex in Algeria destroyed by the 11 December terrorist attack. The bombing claimed the lives of 17 United Nations workers. Photo: © UN Photo/Evan Schneider. Algeria’s conflict raged for more than ten years and, during that time, claimed the lives of some 150,000 people, including Djamel’s brother. But as the war steadily ground down into a costly quagmire, questions began to arise regarding the efficacy and moral strength of the insurgents’ claims. Scholars of extremism generally agree that the history of international terrorism has unfurled along four specific currents, or waves: the Anarchist Wave, spanning the decades between the 1880s and 1920s and marked by so-called ‘propaganda of the deed’ acts of violence; the Anti-colonial Wave, which peaked between the 1920s and 1960s as empires crumbled and nations broke free from the yoke of imperialism; the New Left Wave of the 1960s to 1990s, which saw the rise of militant groups espousing extreme leftist and rightist ideals; and the current trend, the Religious Wave, giving birth to today’s religious fundamentalists and jihadists. 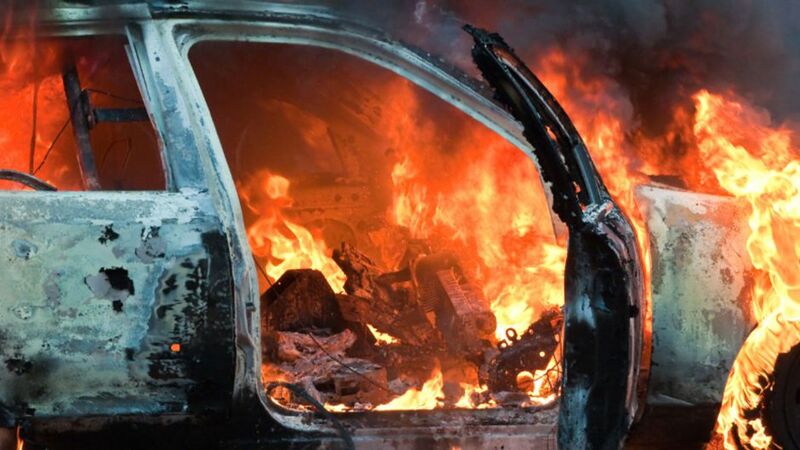 Nevertheless, following the 11 September 2001 terrorist attacks in the United States, youth radicalism is an issue that continues to confound Member States as countless young people abandon their families or lives of seeming prosperity in the West to join the ranks of Islamist militant groups. In the Middle East alone, the Islamic State of Iraq and the Levant (ISIL), also known as Daesh, has benefitted from an influx of 4,000 European fighters, both young men and young women, while also recruiting heavily from the disenfranchised youth of the region. 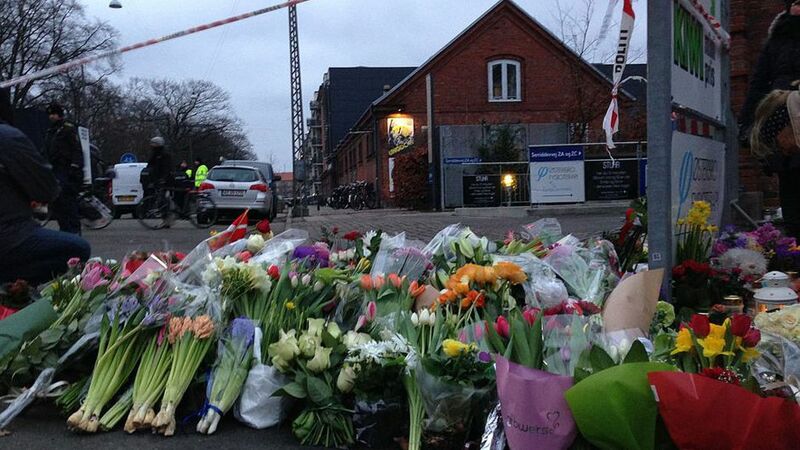 Flowers left after the terrorist attack at Krudttønden in Østerbro, Copenhagen, Denmark. Photo: Larsgottlieb. Creative Commons BY-SA (cropped). The mass disaffection of modern youths, however, appears to have some common cause, according to Peter Neumann, the Director of the London-based International Centre for the Study of Radicalisation. At a recent meeting of the Security Council on the role of youth in countering violent extremism and promoting peace, held at UN Headquarters in April, Mr. Neumann remarked that the foreign fighters joining ISIL were more diverse than any extremist population he had ever seen. So different in fact that, for the first time, the group of youth radicals included large numbers of women — reaching up to 20 percent in some countries. “However different the foreign fighters that my colleagues and I have found and spoken to; however different their profiles and characteristics; what many, if not most of them, had in common is that they didn’t feel they had a stake in their societies,” he told the meeting. The radicalizing factors of young people in Europe and beyond, however varied, are nonetheless rooted in socio-economic stimuli or the lack thereof: a lack of social and cultural integration, a lack of economic opportunity, a lack of employment. When hope and opportunity are eclipsed, Mr. Neumann suggested, extremism will often feed off of the resulting despair. 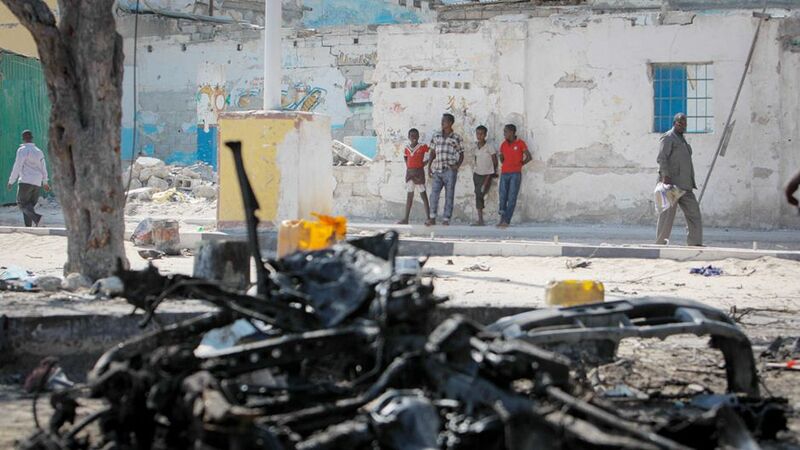 Young Somalis look on near the wreckage of a car bomb after a double suicide attack by the Al-Qaeda-affiliated extremist group Al-Shabaab killed 18 people and injured dozens more at a popular restaurant in Mogadishu. Photo: © UN Photo/Stuart Price. Just last year, the UN International Labour Organization (ILO) pointed out in its Global Employment Trends report that global youth unemployment rates would remain on an upward trend through to 2017, according to projections. Young people, the agency said, continued to be particularly affected by a weak and uneven recovery with some 74.5 million youth unemployed in 2013 — the last year for which data was available. In addition, as the recovery remained weak, the average length of unemployment spells increased considerably. The data is particularly troubling when seen within the context of the largest youth bulge in human history. Today, half of the world’s population is under 25 years of age, and 87 percent of those between the ages of 15 and 24 can be found in the developing world. Among them, 600 million youth live precarious existences in war zones, caught up in the fury of conflict and its offshoots of poverty and destruction. “You’re dealing with a large population of young people who are suffering today from complex challenges, from failures in development, from lack of peace and security,” the Secretary-General’s Envoy on Youth, Ahmad Alhendawi, said in an interview with the UN News Centre. “And they are, of course, in a situation where they are vulnerable in every sense of the word. 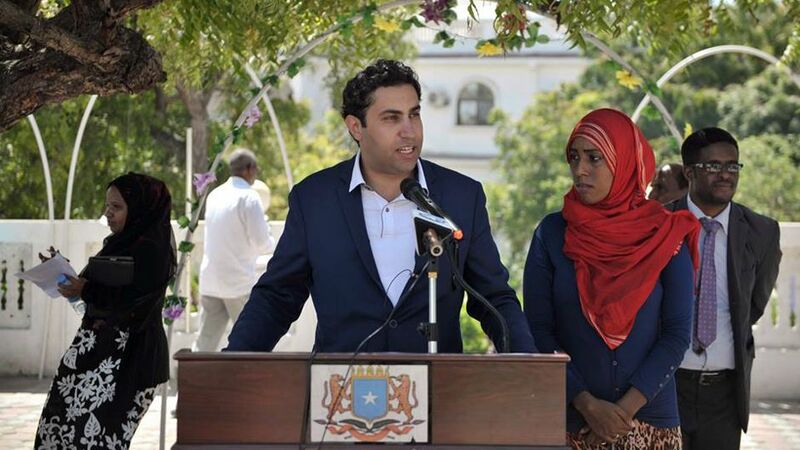 Youth envoy Ahmed Alhendawi speaks at an event at Villa Hargeisa in Mogadishu (October 2014). PHOTO: © UN Photo/Tobin Jones. In the Arab world, noted Mr. Alhendawi, the employment and economic metrics describe a downward slope that only serves to push disenfranchised young people into the arms of recruiters for extremist groups who, with their promises of an ideological cause and hefty salaries, are increasingly successful in luring youths into their ranks. The debate over the causes of extremism can appear to be an endless and nebulous one. But the solutions, according to Mr. Alhendawi, are brutally clear: the world’s youth must be treated as peacebuilders in a system of inclusivity which brings progressive youth policies and investment to the fore. 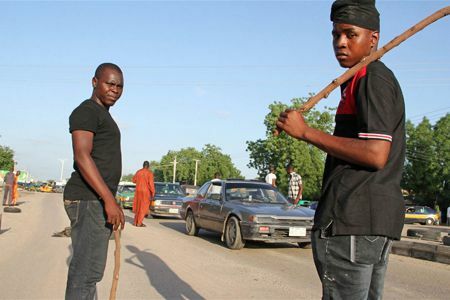 Anti-Boko Haram vigilantes patrol the streets of Maiduguri, Nigeria (September 2014) Photo: © IRIN. You have the largest demographic, he says, but there is very little being done in terms of investments for them. The quest for solutions for the worryingly global problem of youth extremism and terrorism appears to be uniquely suited for the UN — both as a venue for multilateral discourse and a wellspring of expertise and policy development. Jean-Paul Laborde, the head of the UN Counter-terrorism Executive Directorate (CTED), has long called for a multifaceted approach in preventing the spread of radicalism across borders as part of his mandate to identify best practices of Member States in countering terrorism. Among these best practices, he says, are suggestions for the international community to adopt comprehensive tools such as education in order to douse the flames of incitement and extremism before they become too wild to control. “Lack of employment; very often exclusion; difficulties of comprehension — that’s what I think we have to look at. What, in the past, we have called the conditions conducive to the spread of terrorism,” Mr. Laborde stated. From its base in New York, Mr. Laborde’s team compiles exhaustive policy recommendations with which it hopes to boost the fight in countering the financing of terrorism, terrorist acts, and preventing the growth of violent extremism. But as the CTED experts probe the reports submitted by States in areas such as legislative drafting, the financing of terrorism, border and customs controls, police and law enforcement, refugee and migration law, arms trafficking and maritime and transportation security, Mr. Laborde observed that a number of necessary measures have inarguably come into focus. I’ve always said that the terrorist organizations are equipped with Ferraris; we are equipped with not even a bicycle. How is the UN fighting terrorism? The Security Council Counter-Terrorism Committee (CTC) was set up immediately following the 9/11 attacks against the United States in 2001 to strengthen Member States’ ability to prevent and address terrorism. The Committee is assisted in this work by its Executive Directorate (CTED), which carries out the Committee’s decisions, conducts expert assessments of Member States, and facilitates counter-terrorism technical assistance. CTED helps identify best practices of Member States to counter terrorism — and assists in spreading these among the wider membership. CTED has also been tasked by the Security Council to work with international, regional, and sub-regional organisations, as well as with civil society, academia, and private entities to identify new trends and developments related to terrorism. Most recently, the Council in its resolution 2178 of September 2014 underlined the increasing threat posed by foreign terrorist fighters as part of emerging issues, trends, and developments in this regard. Newly trained Emergency Response Unit officers from the Liberian National Police on night patrol with the guidance of UN police in downtown Monrovia. 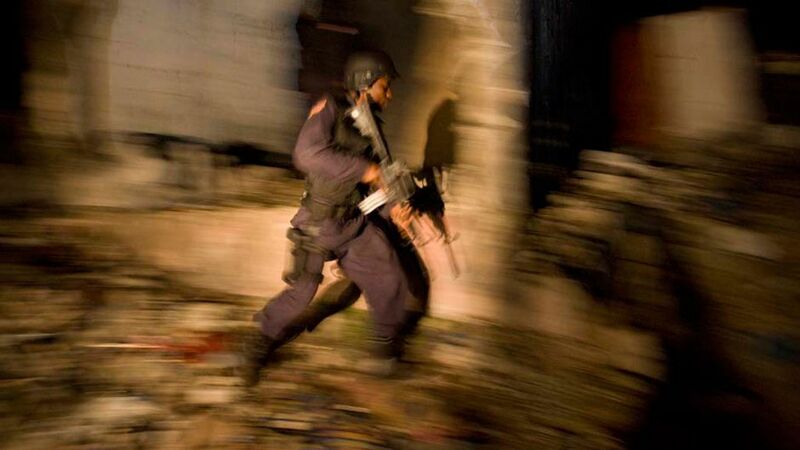 The elite armed force deals with high profile and dangerous crimes including armed robberies, hostage situations and terrorism (November 2008). Photo: © UN Photo/Christopher Herwig. Meanwhile, back in Algeria, where the war of attrition had already dislocated society and planted the seeds that would soon grow into Al Qaeda in the Islamic Maghreb, the country’s authorities were desperately seeking an alternative to the bloodshed that had cost so much in terms of human lives and development. “There was a sort of complete exhaustion on both sides — an understanding that the horrific murders that were going on at that time were actually not leading to any future for anybody and that there had to be a real effort to bring society back together again,” explains former UN terrorism expert Richard Barrett in The Terrorist Who Came Home. Indeed, the Algerian government decided to act and launched a reconciliation process by announcing an amnesty for the young men in the mountains. Hearing of the amnesty, Djamel and his fellow fighters, believing they had been misled about Islam, sought out religious authorities espousing a different view of their struggle. Djamel eventually left the mountains and relinquished his weapons — a first step on the path of recovery from the ‘Black Hole’ of the Algerian civil war. He rebuilt his life and started a family. 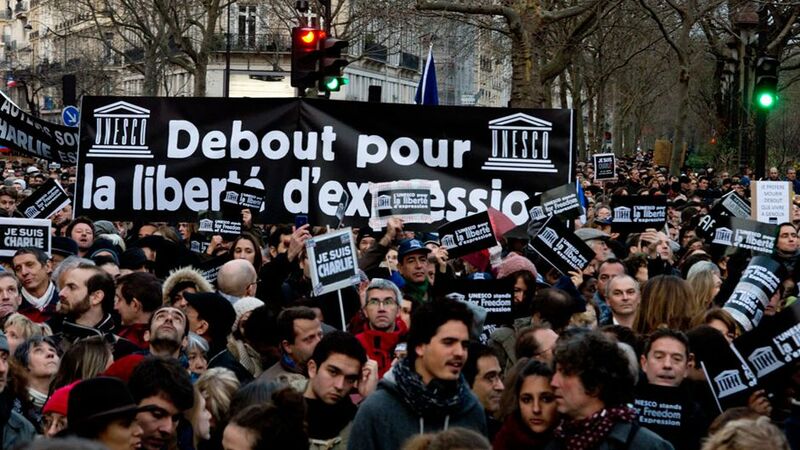 A view of participants in the historic march for freedom and solidarity in Paris, held in the wake of the deadly terrorist assault on French satirical magazine Charlie Hebdo. Photo: © UNESCO/C.Darmouni. The international community has a tendency to blame young people for many problems, Mr. Alhendawi noted. And until this perception is jettisoned, freeing those from the clutches of radicalism will remain one of the world’s most pressing issues.